How much does it cost to travel to Hiroshima? How much money will you need in Hiroshima? ¥11,882 ($106) is the average daily price for traveling in Hiroshima. The average price of food for one day is ¥3,560 ($32). The average price of a hotel for a couple is ¥14,939 ($133). Additional pricing is in the table below. These average travel prices have been collected from other travelers to help you plan your own travel budget. Hiroshima is positioned on the coast of the Seto Inland Sea and is an industrial city made up of many zigzagging rivers and wide boulevard streets. Today Hiroshima is a modern and vibrant city with great food and an energetic nightlife, but the image that remains in most visitor's minds is the Hiroshima of 1945 when it became the horrific sight of the first atomic bomb attack. Hiroshima shares the colorful neon atmosphere of other major Japanese cities and its hard to recognize the city immortalized all those years ago on that fateful day. Hiroshima's climate is humid subtropical. The winters are mild and the summers are hot and humid. August is usually the hottest month of the year. Rain can occur at any time of the year, but winter is usually the driest season. June and July usually have the most rain. The best time to visit is in October and November when there isn't as much rain and the temperatures are pleasant. If you're in town during the summer months, air conditioning is a must. Peace Memorial Park is where you'll find most of the memorials relating to the atomic bomb. This area was destroyed by the bomb and there are now more than 50 memorials, statues, and structures in the park. It's a heartbreaking place to visit, but should not be missed during your time in Hiroshima. There's also a museum that educates the visitor on the events of that day, the damage, and the long term effects. Outside of the park there are several other museums that offer information on other aspects of that day. You should consider visiting Honkawa Elementary School Peace Museum, which tells of the school that was destroyed and those that lost their lives. Only one teacher and one student survived that day. Fukuro-machi Elementary School Museum is a comparable museum. Chuo Park is a large green space in the middle of the city. In the area you'll find Hiroshima Castle, Gokoku Shrine, the Hiroshima Children's Museum, and the Hiroshima Museum of Art. Hijiyama Park is a large park to the south of JR Hiroshima Station. In the area you'll find Hiroshima City Manga Library and they Hiroshima City Museum of Contemporary Art. Other sights around town include Fudoin, Hiroshima City Transportation Museum, Hiroshima Prefectural Museum of Art, Mazada Museum, Mitaki-dera, and Shukkeien. Hiroshima is divided into eight districts, or ku. Asaminami is the largest district, with the most comprehensive public transit. Minami is nearby. 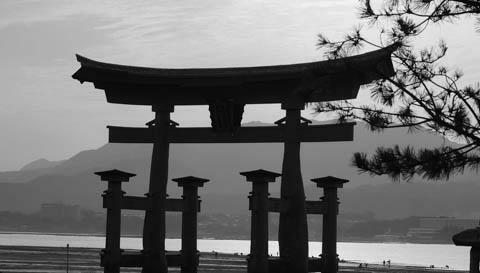 Naka-ku is where you'll find Hiroshima's business district as well as Peace Memorial Park. It's in the middle of the city. Higashi is on the east side of the city and is the location of Fudoin. Nishi, and Hiroshima-Nishi Airport, are on the western side of the city. This is not the city's main airport, which is actually outside of town. The other districts are Aki-ku, Asakita-ku, and Saeki-ku. There are a variety of recreational venues in Hiroshima. There are several family friendly swimming pools. Going to a baseball game is also a unique and fun experience in Hiroshima. The city also hosts several great festivals throughout the year. These include the Flower Festival in May, the Sake Festival is in October and the Food Festival which is also in October. On the anniversary of the atomic bomb being dropped there is the Peace Memorial Ceremony that begins in the morning. Hiroshima's most famous cooking style is okonomiyaki. This translates to mean "cook it as you like it". The dish is actually a "pancake" that is made with egg, cabbage, soba noodles, meet, seafood, or cheese. It's grilled in front of you and covered in okonomiyaki sauce. It's quite delicious and an experience that you must have while you're in Hiroshima. Hiroshima is also famous for its oysters, which are available between the months of October and March. Another local specialty is Momiji Manju, which is a type of pastry filled with any number of things including red beans, cream cheese, custard, or fruit flavors. Hiroshima has a comprehensive tram system. It can be slow moving, but it is reliable. Most of the lines begin at JR Hiroshima Station and run every ten minutes during the day. One day passes are available. Buses travel throughout Hiroshima and into the suburbs. Buses are more frequently used by local than visitors, but they can be helpful if you need to travel outside of the city center. There is a metro system that connects the city center with the northern suburbs. There aren't many tourist attractions along the route. There are wide sidewalks around the city that make biking easy. The paths along the rivers are particularly pleasant.